When developers at Runshaw Sixth Form College wanted to cover a performance area in an external courtyard, they were keen to install a tensile fabric structure as an architectural feature. 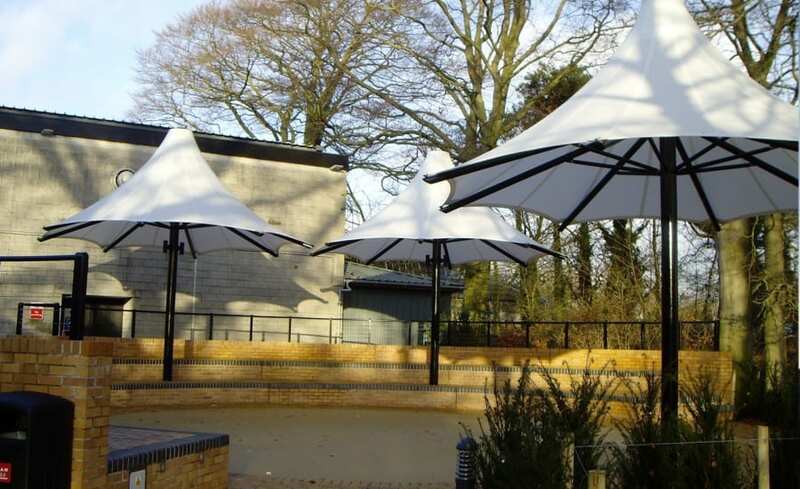 Unfortunately, budget meant that although the school would have liked to install a bespoke canopy, they needed to work with a company who could provide a more economical solution. Drawing from their range of standard structures, Architen Landrell were able to offer a competitive and stylish solution to this problem without compromising the overall look of the space. 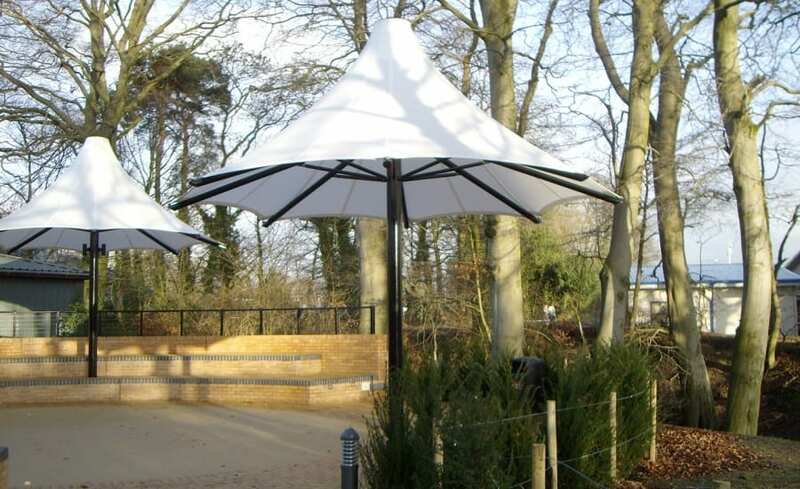 The team designed, manufactured and installed three traditional umbrella canopies each spanning 6m in diameter. 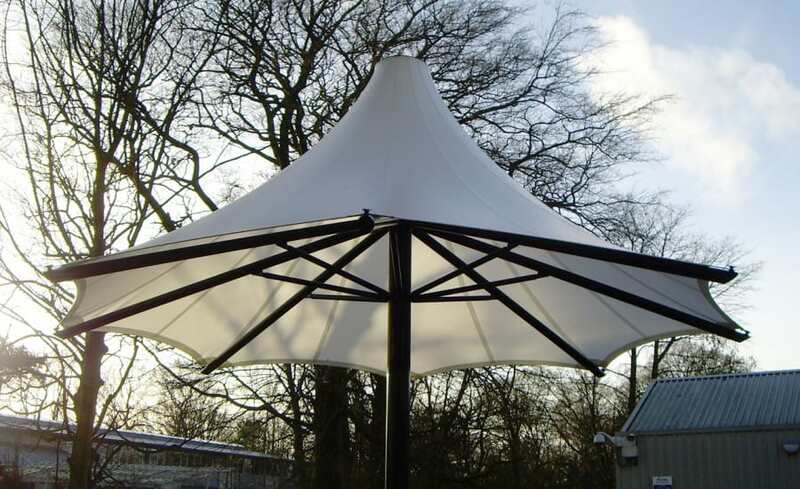 The canopies were manufactured using silicon coated glass cloth to provide an economic yet attractive finished product. The silicon coated glass cloth allows maximum light transmission along with weatherproof protection. Both the architect and the school staff are very pleased with the Architen Landrell team and with the finished installation.